To assist in the identification of unexploded bombs, anti-aircraft shells and cannon shells, it was decided in early 1942 to send wardens and police officers on special bomb reconnaissance courses. 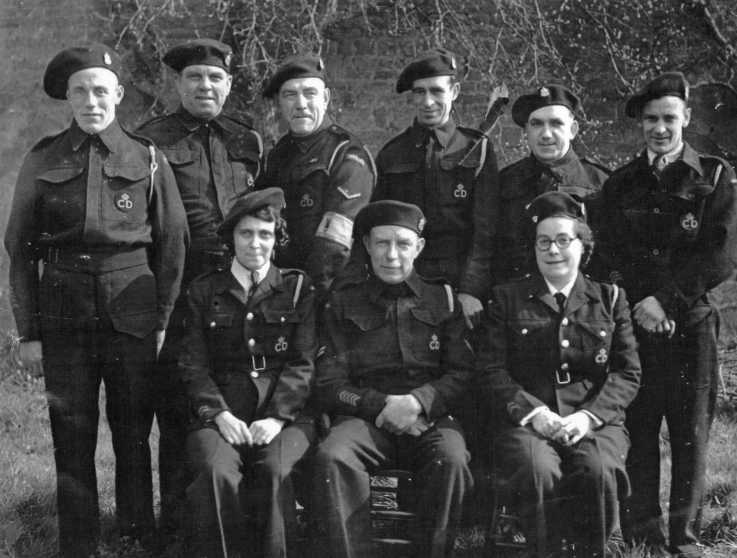 It was initially thought that 100 bomb reconnaissance officers (BRO) per civil defence region would suffice but it was realised by the summer of 1942 that additional officers would be required in some areas. ​Over four days, recruits to the courses would be trained in identifying unexploded ordnance both during the day and at night and filling in Part I of the UXB form. Knowing the type and size of the UXB would assist in the managing of the incident. BROs did not get involved in the actual disarming of any UXB. Only men were allowed to become bomb reconnaissance officers. 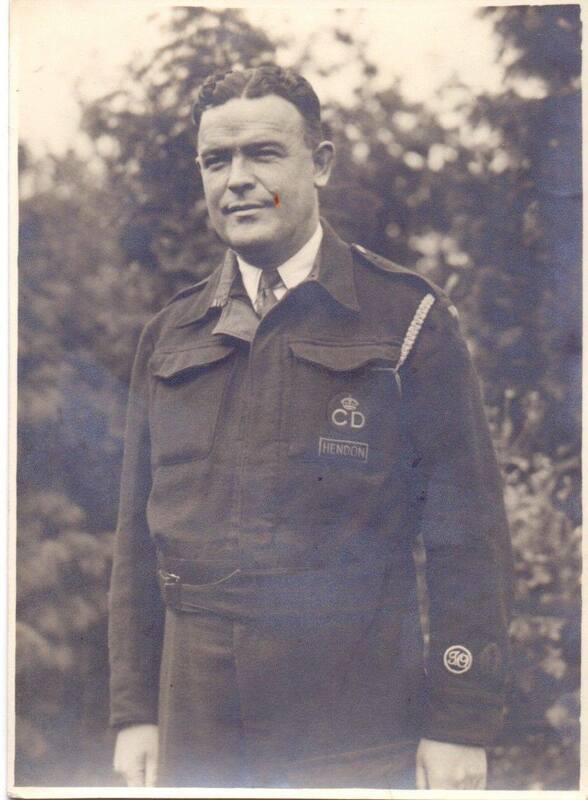 An ARP Warden from Hendon with both the London-style Incident Officer and Bomb Reconnaissance badges on his lower right sleeve. Instituted in 1942 for wear by members of the Civil Defence services trained as Bomb Reconnaissance Officers. Officers would identify any unexploded items (either German bombs or unexploded anti-aircraft shells) and pass this information onto bomb disposal squads from the Royal Engineers. The armband (listed as ARP Pattern 144) was made of cotton with a falling bomb and 'BOMB RECONNAISSANCE' printed on it. The armband was original planned as being red on a dark background but was later changed to the yellow background to make it easier to see in the dark. 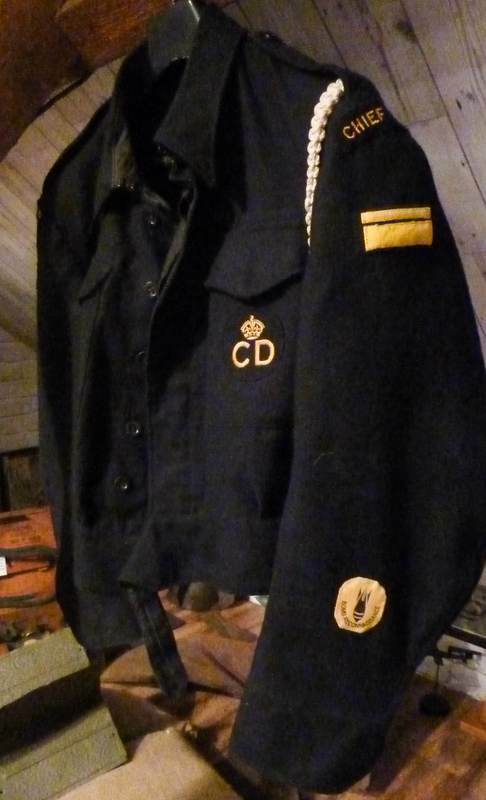 A more permanent sleeve badge (listed as ARP Pattern 183) was manufactured and sewn onto the bottom of the left sleeve, midway between the sleeve's seams and six inches from the end of battledress cuff. Again the original sleeve badge was red on a dark background but changed to be the same colour as the armband. If an individual held the the Bomb Reconnaissance Officer badge and the Incident Officer badge, the IO badge was placed 'forward' and the badges were placed half an inch from each other. It would appear that the Bomb Reconnaissance Officer is this photo could not wait for the arrival of the official sleeve path. Under magnification it would appear he has cut down an armband to form a more permanent sleeve badge. 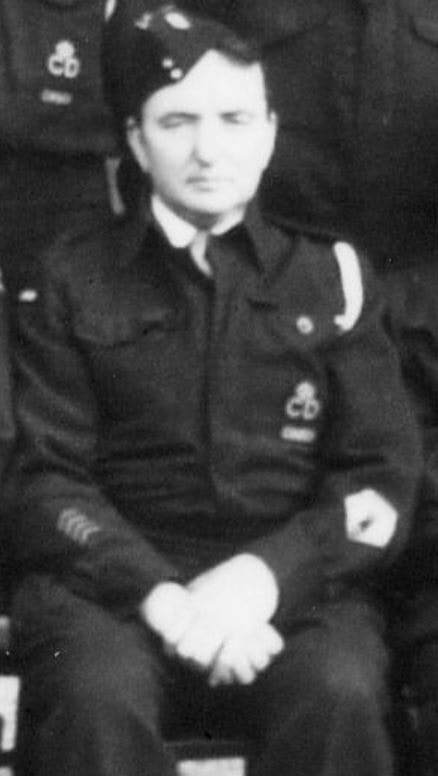 Civil Defence Bomb Reconnaissance Officer with cut down armband for sleeve insignia.